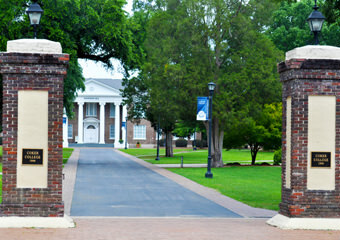 Coker College offers Bachelor of Arts and bachelor of Science degrees in about 50 programs of study. The Governor’s School is a public two-year school, grades 11-12. 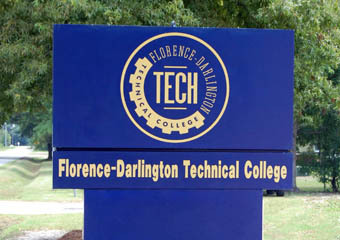 The FDTC Hartsville Site provides post-secondary education in various disciplines. Darlington County schools are home to a variety of magnet programs, including the Mayo High School for Math, Science and Technology in Darlington. Washington Street Elementary School is a public school enrolling students in grades 1-3. Carolina Elementary School enrolls approximately 260 students in grades 1-5. North Hartsville Elementary School is a public school enrolling students in grades 1-5. Office hours 7 a.m.-4 p.m.
Hartsville Middle School is a three-year public school starting at grade 6. Hartsville High School is a public four-year high school with an average enrollment of 1,400 students grades 9-12. Hartsville High School has an International Baccalaureate Programme. The nonprofit TEACH Foundation administers the Partnership for Unparalleled Local Scholastic Excellence (PULSE) initiative, a public-private effort focusing on academic excellence. Sonoco has provided a five-year, $5 million grant for the accelerated learning programs at Hartsville High School and for Mayo High School students living in Hartsville through teaching programs at Coker College and the S.C. Governor’s School for Science and Mathematics. The effort also seeks to develop a pilot Comer School Development Program at four Hartsville elementary schools. 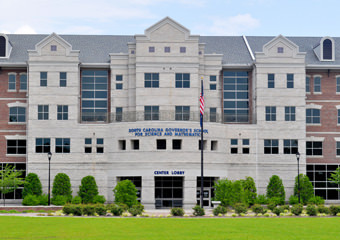 Founded as a volunteer organization in 1920, the Hartsville Memorial Library today boasts the largest facility and the highest circulation in the Darlington County Library System. Hours (except holidays): Mon. -Thur. 9 a.m. – 8 p.m., Fri. 9 a.m. – 5 p.m., Sat. 10 a.m. – 2 p.m., Sun. 2 p.m. – 5 p.m.